The Driving Dead PSA: Better Than The Walking Dead? 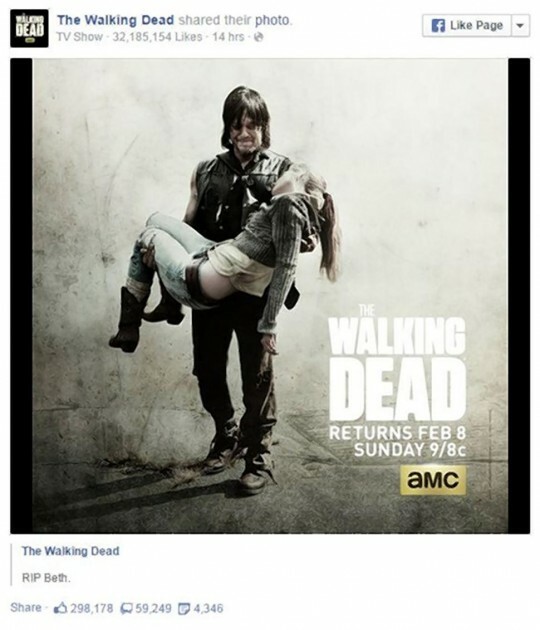 In spite of itself, The Walking Dead remains one of the most popular shows on television, with the most recent mid-season finale pulling in an insane 14.8 million viewers even after AMC ruined the whole episode for its entire West Coast viewership because it doesn’t quite understand the complexities of Facebook and time zones. Almost as inexplicable as the numbers it pulls is the fact that TWD continues to thrive to such an unbelievable degree. On the whole, it’s not a great show, and certainly not one anywhere in the league of Breaking Bad, Justified, or even tragically-short-lived fare like Terriers or Carnivale. More often than not, it wants for competent writing, steady pacing, and narrative focus, all of which are basic things a show should understand in order to be successful. And yet, like one of its Nicotero-made walkers, the show just keeps trudging on, and it likely will continue to do so until it finally decomposes into one great big fly-addled heap. Full disclosure: The Walking Dead could be much better than it was where I left it; I stopped watching midway through Season Three because I simply couldn’t do it anymore. I understand that shows sometimes need time to get rolling—Twin Peaks, easily my favorite television show, is basically useless for the vast majority of its second season before it finally pulls itself together for the last few episodes—but The Walking Dead burned up all of the goodwill its Darabont-directed pilot built for it by setting its second season in a stagnant location where there was nothing to do but follow inanely-conceived characters while they bicker at one another ad nauseam. I’m honestly surprised to this day that I continued on past that episode where the central plot device involves spending the better part of an hour figuring out how to get a zombie out a well so that the survivors can drink the corpse-broth water within. Hey guys, hope you like wasting your time! One aspect of The Walking Dead that led to my eventual tune-out: bad characters. They’re often shallow, obviously only there to serve as zombie chow, or just flat out stock. It’s hard to call The Walking Dead a great show—let alone a good one—when you can count among its sins a complete inability to understand women at all (see a horrific conversation from the episode “18 Miles Out” where Lori berates Andrea for not spending more time on womanly duties like cooking and laundry) and that the sole featured black character for a great span of time was a man known only by the tone-deaf nom de dumb of T-Dog. THAT’S SERIOUSLY WHAT MY CHARACTER IS CALLED? One of the very worst characters on The Walking Dead was Michael Rooker’s Merle Dixon, who was created for the second episode of the first season seemingly only because the writers really needed a painfully obvious human villain to buy some time before Shane’s eventual heel turn. Merle’s entire purpose for the first episode: spew a bunch of racist and sexist dialogue (because he’s a bad guy, you see), get a gun and threaten to hold his group captive (because he’s a bad guy, you see), and then get punched out and handcuffed to a pipe so that he can saw his own hand off and disappear for two seasons (because why the hell not, you see). It’s a wonder that the script didn’t describe him as wearing a black hat with a Confederate flag patch and constantly twirling a handlebar moustache while snickering. 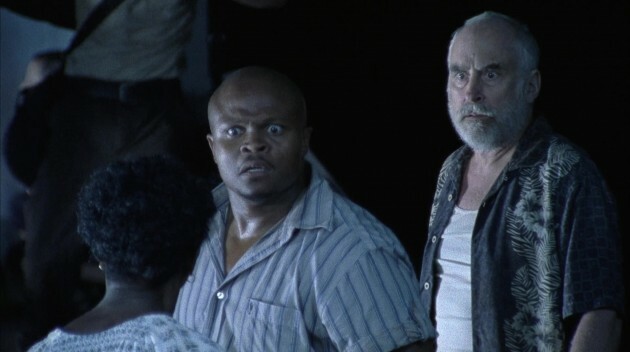 Granted, Merle returned in Season Three and did some other slightly more interesting/less racist stuff to counterbalance his problematic first appearance, but it’s reasonable to say that any instances of the character being compelling are owed more to Rooker’s chops than to the way the part was written. Among its blessings, The Walking Dead has been fortunate enough to fill its cast with capable actors and actresses. 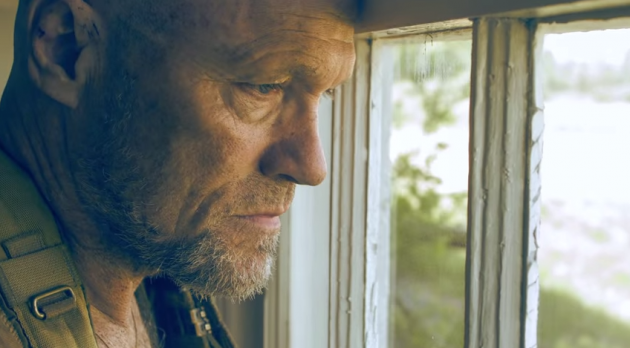 Rooker is among the cream of that particular crop, which makes the fact that he was saddled with such a one-dimensional character all the more inexplicable. Given his talent, it’s not terribly surprising that he would eventually turn the chickenshite that was Merle Dixon into some quantity of chicken salad. This leads me to the Rooker-starring The Driving Dead, the Illinois Department of Transportation’s video campaign to inform drivers 18 and older about the dangers of driving impaired and not using a seatbelt. Two videos in, and The Driving Dead is an easy contender for the most effective driver awareness campaign of the decade—and it doesn’t even rely on a single masturbation joke. Rooker’s role in “The Complex” and “The Gas Station” would amount to little more than stunt casting if it had been given to another venerable zombie genre vet (looking at you here, Joe Pilato): the ersatz Merle acts as narrator and bookender, mostly left with little to do but smolder in the general direction of the camera while the action sequences are left to less-known actors. 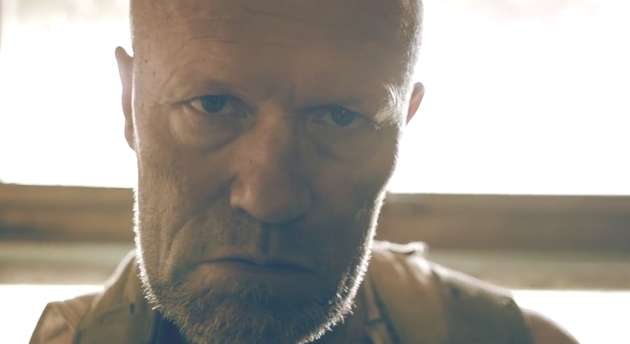 But Michael Rooker makes it work because…well…he’s Michael Rooker, and he’s really good at being Michael Rooker. The Driving Dead earns its dual status as effective zombie short and PSA by couching messages within about the importance of responsible riding habits. It’s important to remember: even after zombies have wiped out most of the population, the basic rules of the road apply. In “The Complex,” a younger version of Rooker’s character is adamant that he doesn’t need to wear his seatbelt, and so his cohorts go about the business of scaring him by driving recklessly and humorously reciting statistics about how much proper seat belt use reduces the risks of serious injury in a crash from memory. 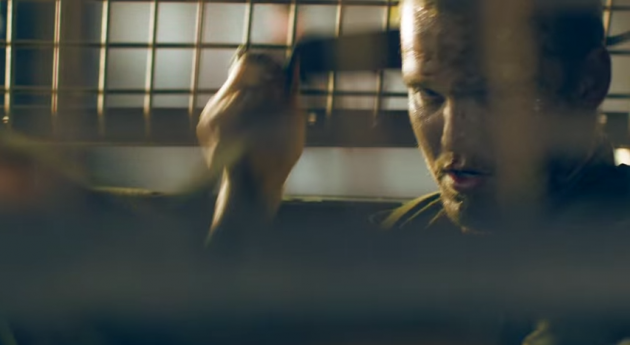 In “The Gas Station,” young Rooker chugs a few beers and then attempts to drive a getaway car to safety when he and his two partners are ambushed. Rather than get in the car with a buzzed driver at the wheel, the two guys stand out in the open amidst gunfire to lecture him about what once resulted in 50,000 arrests a year. If it all sounds a bit strange, it definitely is. 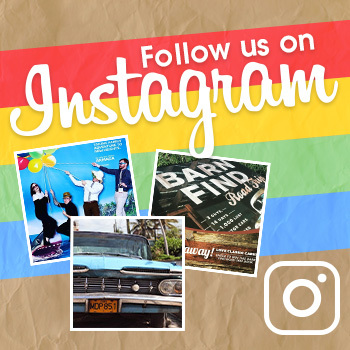 But the message at the heart of The Driving Dead is particularly relevant in light of the DoT and NHTSA’s recently-released report on motor vehicle crashes in 2013, which found that nearly a third of all fatal crashes involved an impaired driver and nearly half of all passenger vehicle occupant fatalities were the result of not wearing a seatbelt.